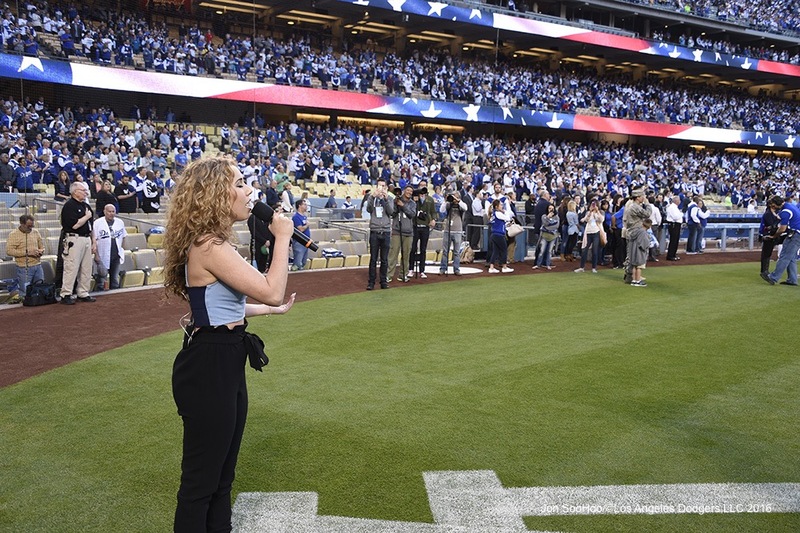 Haley Reinhart was in Los Angeles Wednesday night to perform the National Anthem for the L.A. Dodgers’ second home game of the season versus the Arizona Diamondbacks! This is Haley’s second time performing the National Anthem for the Dodgers. Her last appearance was back in 2012. Here is video of her performance from the game, enjoy!